Last weekend my husband and a friend were cleaning out window wells in our building. There were many frogs that lived in there so I took some pictures of these little frogs. This frog is making a run for it. This frog had something wrong with his right eye but sat still for photos. Thank you for stopping by. 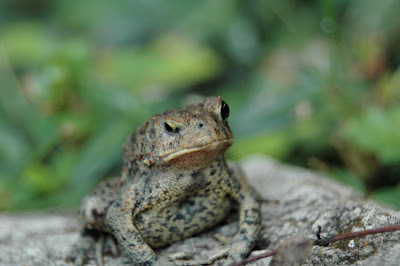 I have more frog photographs on Flickr and Facebook. To see those you can click on the links along the left side of the blog for either Flickr or Facebook. To see more of my photography, you can also visit my Artfire studio, The Shutterbug Eye. Oh wow! 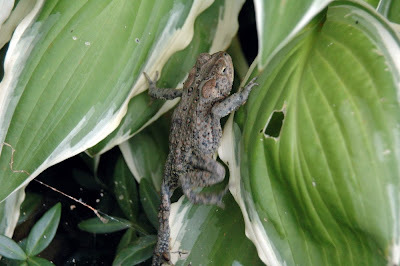 I love the frog photographs. Fantastic captures! Thanks so much, all of you. There were a lot of frogs in those wells.